A tough polycarbonate bulkhead with a dome shaped design, IP65 rated, suitable for indoor and outdoor applications. Suitable for surface mounting on wall or ceiling for both interior and exterior use. Easy to fit wall or ceiling mounting by 2 fixing holes or besa box. Electrical connection via 3 way piano key terminal block. Twin inputs for loop in and out. 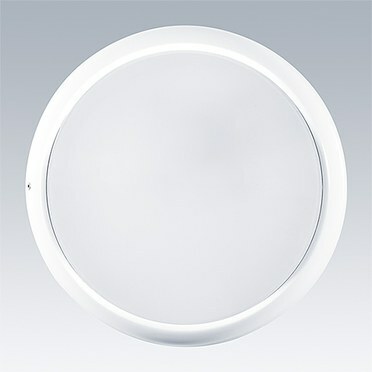 Fresh contemporary circular LED luminaire with polycarbonate body and polycarbonate opal diffuser.